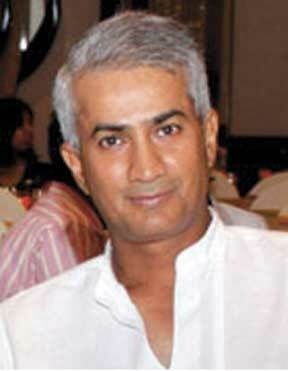 Attributed to Percy Abeysekara, an avid cricket fan and staunch supporter of Lankan cricket. He is otherwise known as “Pissu Percy” and cut his teeth in this field as a cheerleader at St Aloysius College Galle. First, it was the wait for the hundredth international century. That took just over a year and, let’s be honest, it was grim. The event, when it came, was almost morbidly bathetic: a century against Bangladesh in an Asia Cup qualifier in Mirpur which India lost. In the run-up India had been flattened on tours of England and Australia where spectators had turned out in their thousands in the hope, indeed expectation, of seeing history made. The comparisons with Bradman are never far away. This time however, irony is near the surface. It is not just that The Don never had to wait anything like as long for his next hundred (I think we can ignore World War Two for this purpose). It is more that, together with cricket’s other most iconic statistic, Jim Laker’s nineteen wickets at Old Trafford in 1956, Bradman’s Test average of 99.94 is a constant reminder that no player is greater than the game. Now we are waiting to see when Sachin Tendulkar is going to retire. With his apparent yearning for statistical perfection, it seems plausible to think that he might want to bow out after India’s tour of South Africa in late 2013. The second Test will be his two hundredth if he plays. But then again, would he not prefer to say a proper goodbye at home, which would mean waiting for the West Indies visit in October 2014. It is all very difficult. Tendulkar’s extraordinary cricketing longevity makes it more so. It’s a bit like the Queen, in England. There are millions of Indian cricket fans who simply cannot remember life without Tendulkar. He, too – even he, perhaps especially he – must harbour the natural uncertainties about what will come after cricket. Read the rest of this entry ? It is popularly acknowledged that Angelo Mathews, Dinesh Chandimal and Lahiru Thirimanne represent the future of Sri Lanka cricket. The young trio, since debuting in international cricket three to five years ago, has enjoyed permanent status in the national side across all formats of the game and hence, have become the face of our future. As well, the permanency of Mathews and Chandimal is endowed with gilt-edged guarantee: Mathews is Test and ODI captain; Chandimal is his deputy as well as outright T-20 leader. Whilst the duo’s respective positions confer on them immunity from dismissal in the foreseeable future, Thirimanne’s permanency however is earned, showing consistency far more durable than his titled colleagues. Read the rest of this entry ? It’s an another India-v-Pakistan final on Sunday. Pakistan U-23s did well in all department, bowled well and batted also well, not many batsman scored big runs, all the batsman chipped in with partnership’s, at one stage of the match Sri Lanka U-23s had the control of the match, they relaxed a bit in the middle of the match, A perfect match winning innings by Captain, stood up when needed and was there till the end. A lot of positives to for Sri Lanka U-23s they played well in group stages and not even lost a single match before this match. Hammad Azam the Captain of Pakistan Under-23s has been named Man of the Match for match winning knock under pressure. Do join us for IND-v-Pak Finals on Sunday at Kallang cricket Ground. SINGAPORE: Pakistan U-23 beat Sri Lanka by 1 wicket in the semi final of the Asian Cricket Council Emerging teams Cup at the Padang cricket ground in Singapore. Sri Lanka won the toss and elected to bat first. At the end of their allotted 50 overs they had reached a competitive 230 for the loss of seven wickets. They were able to post that total mainly because of their opener, MDUS Jayasundera who scored 94 with the help of 9 boundries and a six. DSNFG Jayasuriya got 33 but the other middle order batsmen could not capitalize on some good starts. At the end WMC Jayampathi was able to score quickly and got 22 off 11 balls with the aid of 2 sixes and a four. Usman Qadir was the pick of the Pakistani bowlers as he gave away only 32 runs in his 10 overs picking up five wickets. In reply Pakistan made a bad start and lost early wickets before skipper Hammad Azam stemmed the rout. Playing a captains knock he scored a fighting 66 with 2 fours and 3 sixes to see his side to the final. Bilawal Bhatti gave him excellent support with 25 off 21 balls. Usman Salahuddin also scored 31 runs. MA Aponso bowled well for Sri Lanka taking 3-31. Hammad Azam was later declared player of the match for his brilliant effort with the bat. Pakistan now face India in the final of the tournament which will be played on Sunday at the Kallang cricket Ground. Paceman Nuwan Pradeep has been recalled by the National Selectors for the upcoming Sri Lanka ‘A’ series against touring New Zealand ‘A’ to be started from September 14, Sri Lanka Cricket (SLC) announced yesterday. 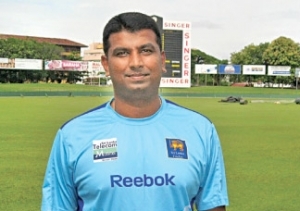 Pradeep, who had been sidelined due to a back injury, was included in the 22-member preliminary squad, which the captain to be announced later according to the National Selection Committee Chairman MP Sanath Jayasuriya. The Kiwi ‘A’ team will take on Sri Lanka ‘A’ in two unofficial Test matches and three unofficial One Day Internationals. The first four-day Test matches will be played at Rangiri Dambulla International Cricket Stadium from September 17 to 20 and the second unofficial Test to be played at Pallekele International Cricket Stadium from September 23 to 26. Welagedara Stadium, Kurunegala will host the first and third unofficial ODIs while the second limited over match will be played at Rangiri Dambulla Stadium. “Coaches are not born but made; coaching consist of skills and commitment which are not inherited but are acquired through constant practice. Maintaining the mutual understanding, trust and respect which you truly earn from your young chargers that would ultimately lead to a genuine stewardship as a coach and above all a good human being”. I feel the above sentiments are far more behind in paying tribute to a life long friend and a coach par excellence Harsha De Silva who will be emigrating to Australia with his familly shortly and will be located in Sydney New South Wales. Read the rest of this entry ? 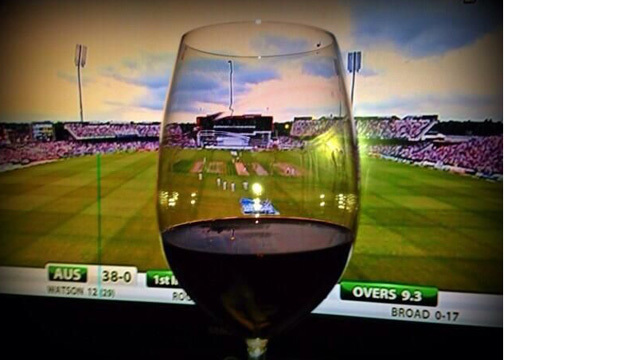 You are currently browsing the Critiquing Cricket blog archives for August, 2013.